SALT LAKE CITY, Utah – HARMAN DigiTech’s is going full throttle with the introduction of its Swing Shift quad-pitch-shift e-pedal for its iStomp programmable pedal. Swing Shift provides a four-voice pitch shift effect, letting guitarists mix Octave Down, Fifth Down, Octave Up and Fifth Up voices with their original note to create massive harmonized chords, riffs and solos. The DigiTech Swing Shift four knobs let users mix in any amount of octave down, fifth down, octave up and fifth up, individually or in any combination. By adding an overdrive or distortion pedal after the Swing Shift, guitarists can create huge-sounding power chords and polyphonic riffs. The DigiTech iStomp is an entirely new concept in guitar stompboxes that allows musicians to turn the iStomp into any pedal in the Stomp Shop online pedal store. Offering almost limitless sonic possibilities, the iStomp connects to an Apple iOS device where musicians can use the Stomp Shop app to load it with the e-pedal of their choice. The Stomp Shop is a free app and comes with two of the most popular requested pedals, the DigiTech Total Recall Delay™ and the DigiTech Redline Overdrive™. It gives access to more than 40 additional pedals that musicians can browse, try out and purchase, with more e-pedals added every month. 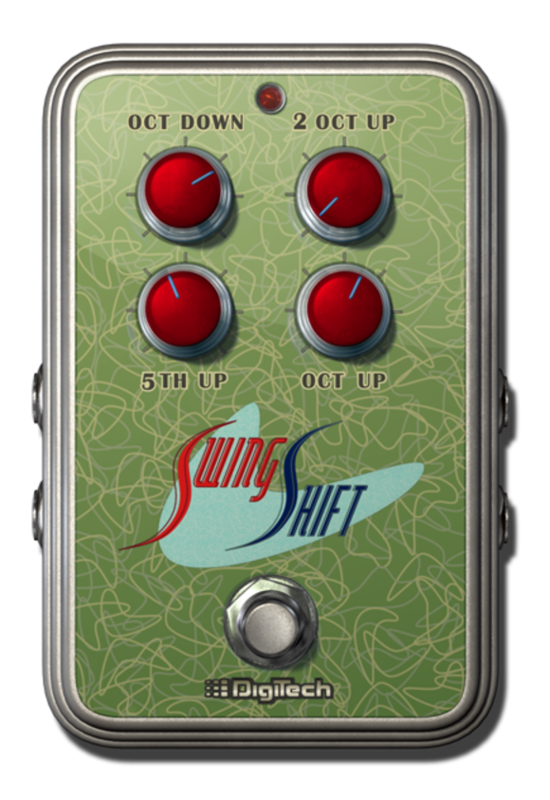 The DigiTech Swing Shift e-pedal will be available in October 2012 at an introductory price of $0.99. This introductory price will run for 30 days. After the introductory period the price will change to $9.99.